Urbanites come start the day by re-tuning your energies to nature. Followed by film screenings and inspirational talks. Edu-tainment for the whole family including interactive workshops with take home ideas! Eartheries, the conscious marketplace, will have a pop up shop, bringing you special curated ethical and sustainable products. Award winning film makers Dereck and Beverly Joubert explore the bonds that elephants make and enjoy throughout their life. The Jouberts track the length of a river in the Selinda reserve in Botswana, which is home to over 7,000 elephants, capturing some of the most amazing up-close footage of elephants the world has had the chance to experience. 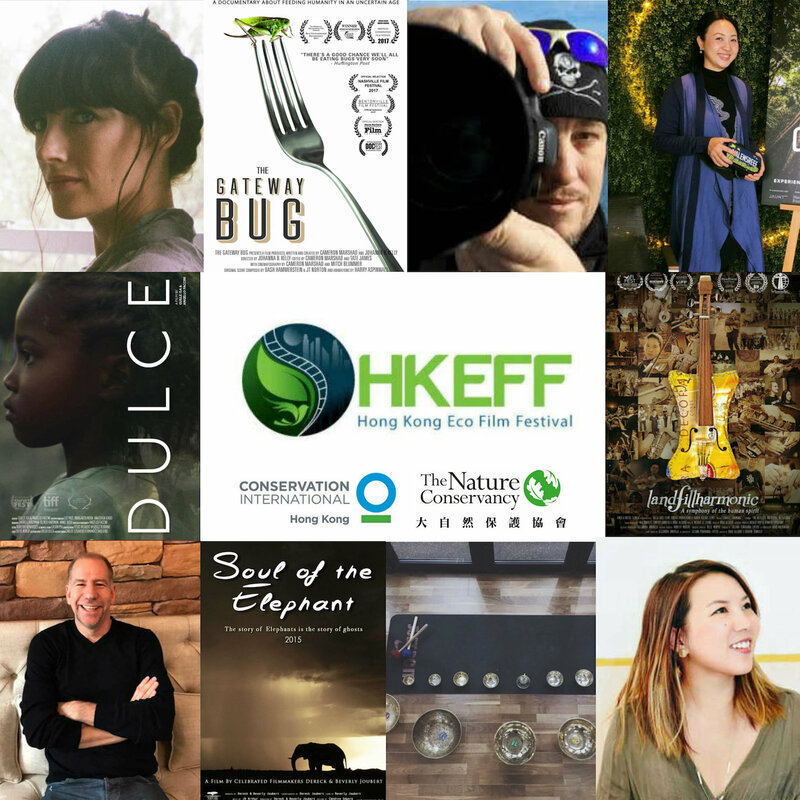 This screening concludes Elephant Awareness Week in Hong Kong by the Elephant Society and African Wildlife Foundation. Sandor Weyers – ElementZ Travel – Eco- tourism and the marvels of a true safari travel experience. Plastic Soup premiering for the first time, a group of select young writers create a spoken performance about plastic reduction. 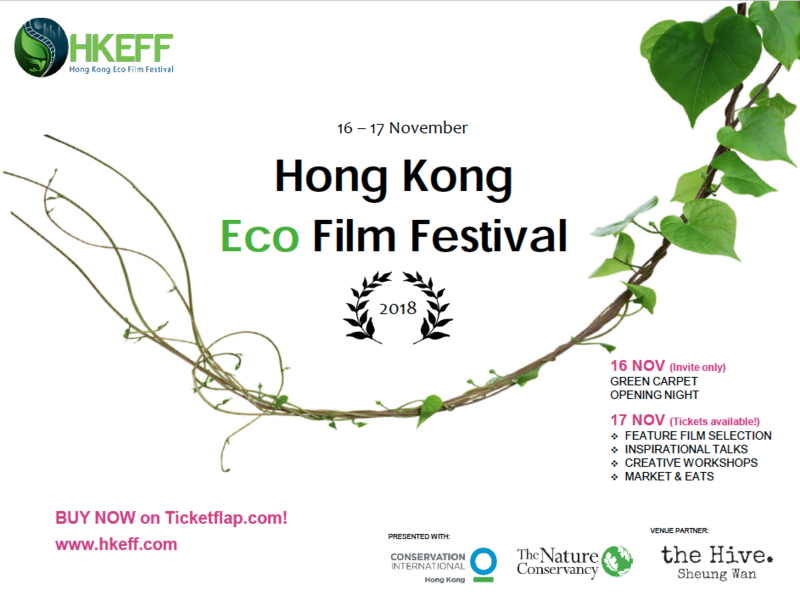 In collaboration with the Hong Kong Youth Arts Foundation, Elephant Community Press and sponsored by the Jackie Chan Foundation. LIVIN Farms will be here for an introductory workshop on home farming of edible insects. Cricket pasta anyone or maybe you’d prefer a Mealworm salad? Find out what all the insect hype is about and how to farm them in your own home! Rooftop Republic hands on workshop provides a taster to the essentials of organic growing in a city environment like Hong Kong. Learn how to transform even the smallest underused spaces to create a thriving, easy to manage urban farm in your own home. Baby elephant DuDu - VR Experience come visit the newest arrival at the Reteti Elephant Sanctuary and feed baby elephant DuDu milk ! Vision3 and Conservation International created this experience to take virtual reality to the next level. The participant is able to move around in a photorealistic environment and provide care to a baby elephant – including feeding it milk, wetting its ears and listening to its heartbeat. 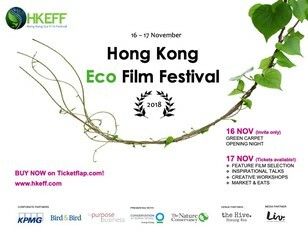 Feature film screenings and inspirational talks from social entrepreneurs. Dialogue with filmmakers. Edu-tainment for the whole family including interactive workshops with take home ideas! Follows the amazing story of the Recycled Orchestra of Cateura, a Paraguayan musical group that plays instruments made entirely out of garbage. Music director Favio Chávez got to know these kids and their families over 8 years ago while working on a waste recycling project at the landfill of Cateura. Being an environmental engineer but with a musical background, he decided to help the children by teaching them music lessons. The idea was simply to keep the kids from playing in the landfill. When their story goes viral, the orchestra is catapulted into unimaginable global spotlight and media attention! The film is a testimony to the transformative power of music and the resilience of the human spirit. Yasuni Man introduces the Waorani people, who are battling oil industry operatives and their own government in a fight to survive. The film follows Mr Killackey and his native friend Otobo as they embark on an expedition into the most biodiverse rainforest on Earth – the Amazon – to meet the Waorani people and raise awareness for their plight. The film highlights the threat of rainforest destruction and human rights violations in the battle over the oil that lies beneath the Waorani’s territory. Yasuni Man won “Emerging Talent Award” at the Wildscreen Film Festival, the world’s most prestigious wildlife film festival. Coconut Matters shows us how we can handcraft cosmetics from nature. The medium-chain fatty acids (MCFAs) in Coconut Oil are similar to the natural fats in breast milk and in turn, possess similar nutriceutical effects. It’s antiviral, antibacterial and antifungal properties makes Virgin Coconut Oil a household essential. Create your own chemical free beauty product here! Einnoc brings the sustainable living workshop with tips on using ingredients you might already have at home to create a range of body essentials as well as uses around the house. For this workshop, we will be focusing on toothpaste… think how many toothpaste tubes have you thrown out in your lifetime? Never again! Chemicals and micro plastics? Never again!